ALFA POS is retail POS software, inventory management, and ecommerce & customer loyalty for PC. Easily navigate, and is compatible with touch screen terminals and barcode scanners, helping save time when ringing up sales and preventing cashier errors. ALFA POS Solution creates easy to use, robust and affordable business solutions, record and track customer orders, process credit and debit cards, connect to other systems in a network, and manage inventory. 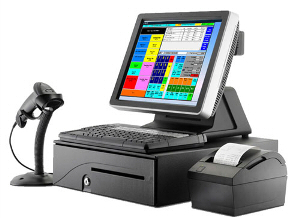 A POS system used in most industries that have a point of sale such as a retailers, service desk, including restaurants, lodging, entertainment, and others. We have the knowledge to provide systems that meet the needs of our customers at low prices. Regular updates are made to enhance the software. Works with touch screens/systems and non-touch screen based systems. Possibility for invoices partial payment. Ability to open more than one invoice at the same time in the same screen or in more than one computer.